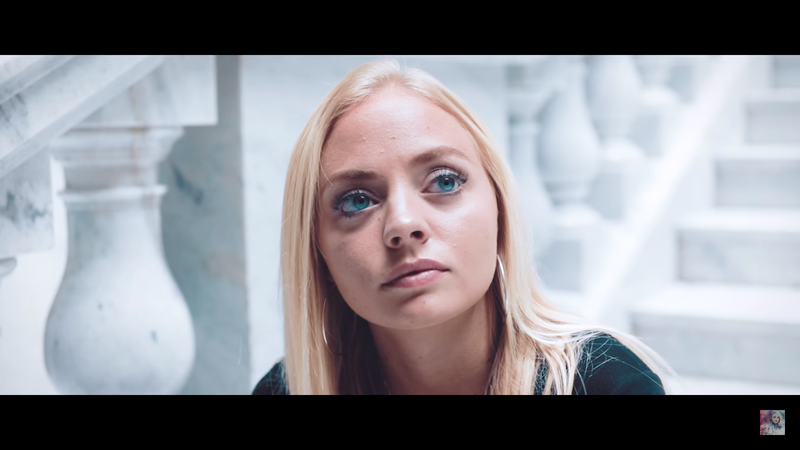 Madilyn Paige has done some great things since appearing on The Voice, and her latest cover of Halsey’s “Sorry” is just another excellent display of her talents. Featuring the beautiful and elegant backdrop of the Utah State Capitol, “Sorry” is a song about looking back after the end of a relationship. Paige’s ballad rendition with piano accompaniment adds depth and emotion to the song that isn’t distracting. Her vocals are simple and focus on the lyrics instead of how powerful or fancy she can be, although you do get some hints of her incredible range towards the end of the song. The video itself is well done with clean shots and good lighting that add to the song instead of distract or pull away from Paige’s talent. She wears a simple black dress and heels and walks around the building. There are no complicated dance numbers or a story line that you need to follow. Instead, it feels like someone’s very real reflection on a past relationship and the regrets they may have. Paige continues to release catchy original songs and covers of other artist’s that only showcase her immense talent, despite being so young. It will certainly be exciting to see what else she does in the future!